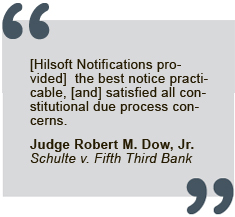 Hilsoft Notifications is a leading global provider of legal noticing services. We provide quality, expert notice plan development. 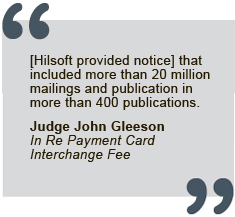 Hilsoft designs notice programs that satisfy due process requirements and withstand judicial scrutiny. No other expert firm matches our experience with the direct oversight of the entire notice process. Our communications professionals, who are uniquely experienced with individual notice implementation, set us apart from the competition. 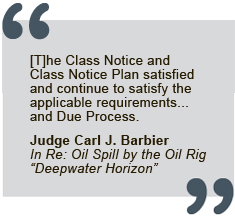 We have achieved our success as respected legal noticing experts by designing and implementing notice programs in many of the largest and most significant cases in history.